He successfully created a retail, commercial and residential space called Sonnenschiff, translating to "Solar Ship," that was energy net-positive in 2004. 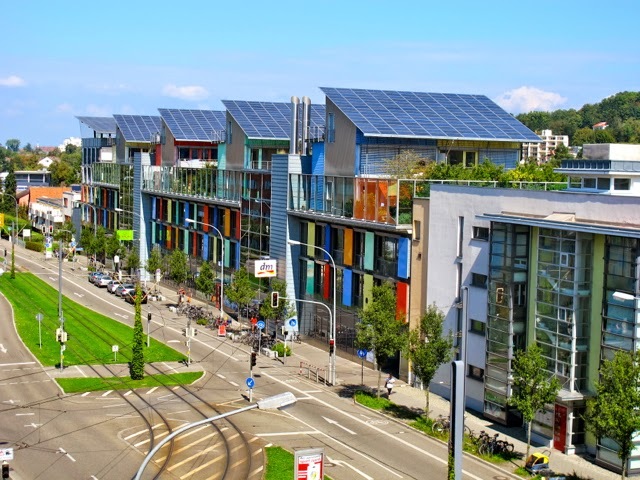 The building was a hit, and over the following years 60 more residential buildings have been constructed surrounding the solar ship, all with energy positive electrical systems. Today the village, dubbed Solarsiedlung (Solar Village), is producing 4x more energy than it consumes.